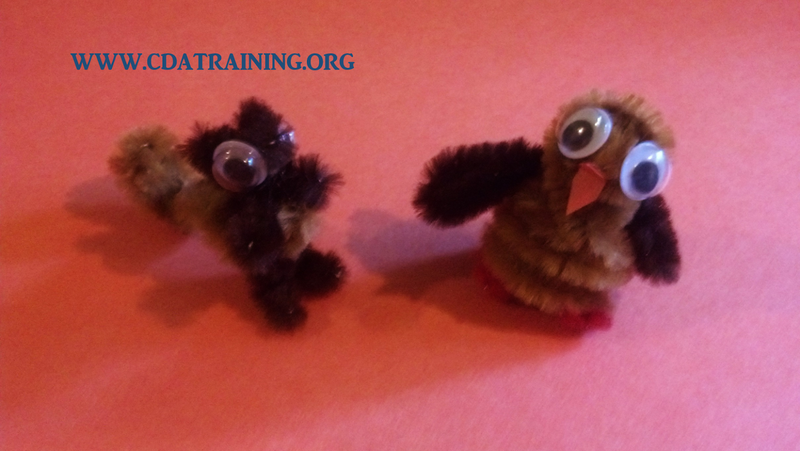 Have the children create critters out of pipe cleaners. 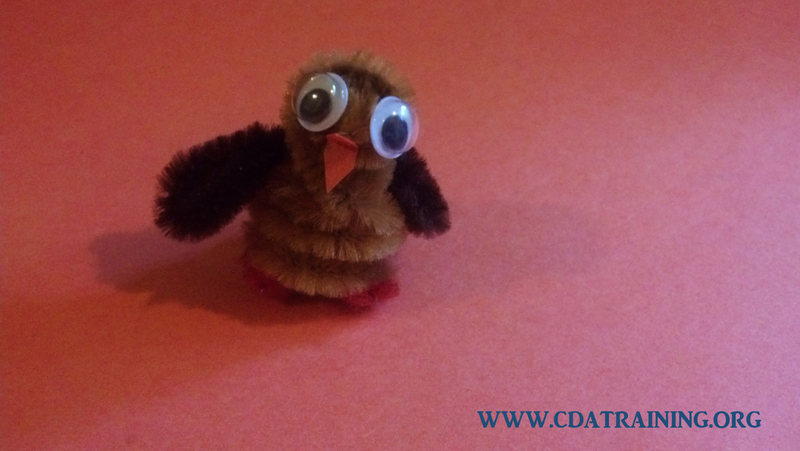 We created a squirrel and an owl. 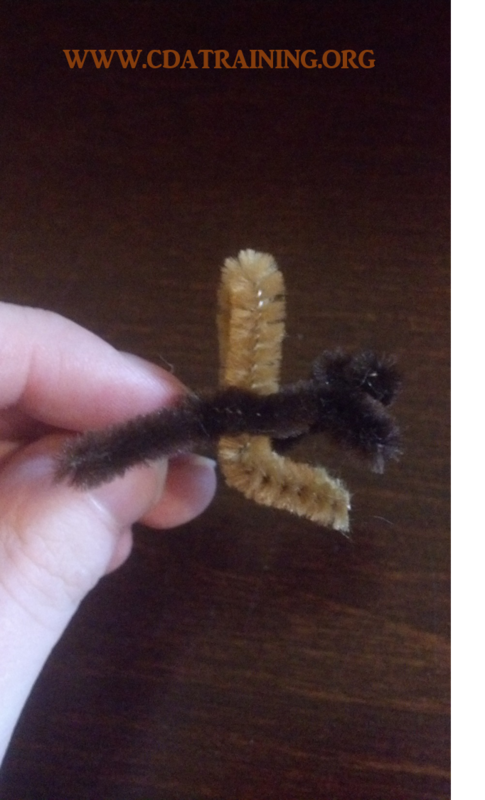 This pipe cleaner craft is good for helping develop fine motor skills. 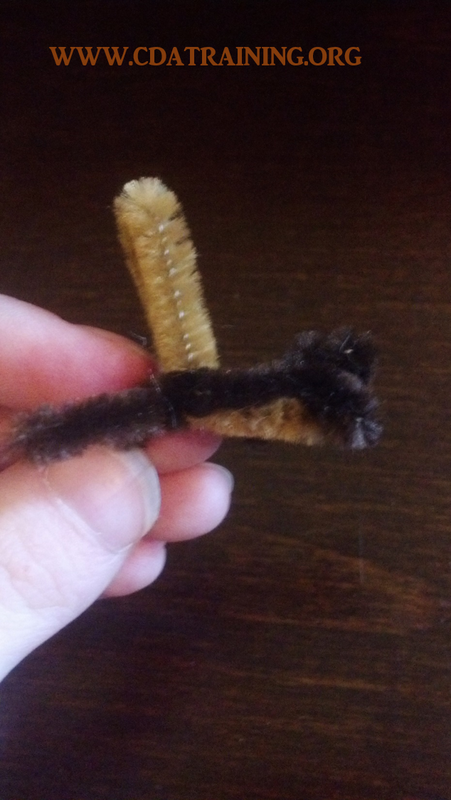 Helpful Hint: When adding a limb such as a wing or a tail tuck it under and wind the pipe cleaner around the tip. Our squirrels stomach and tail are one piece tucked in between the two sides and twisted at the bottom to make feet.